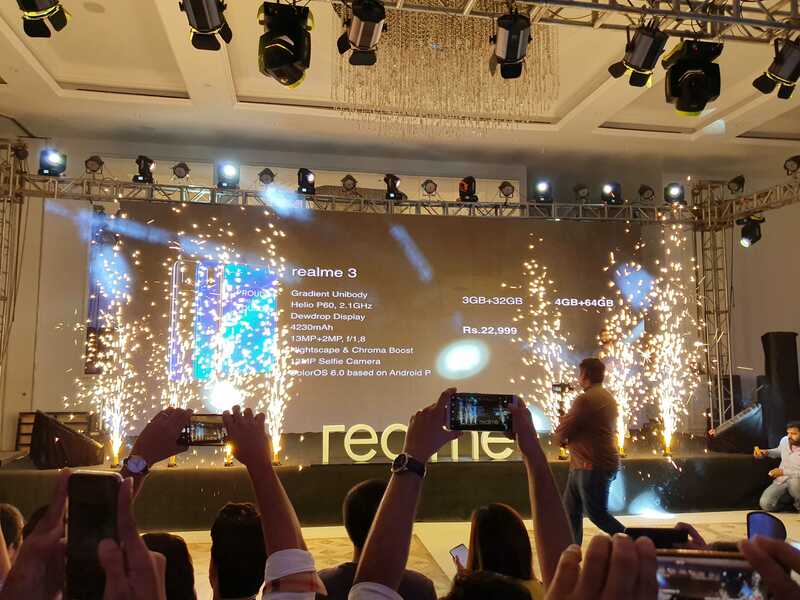 Realme 3 Launch event was held today in Lahore. The phone is now officially launched in Pakistan and will be available at different retailers across the country. 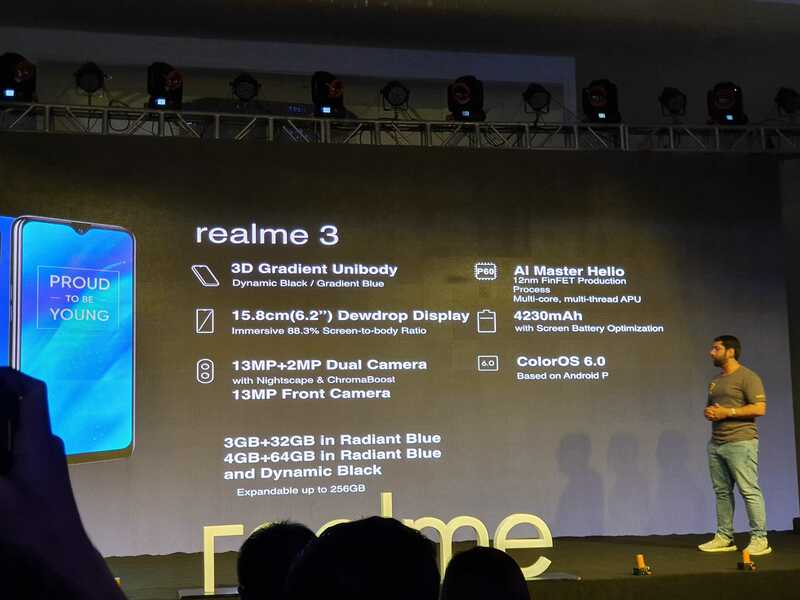 Realme 3 is a no-compromise budget Android smartphone that offers all the essential Android features and more at a price point of mere 23,000 PKR. The launch event took place in Lahore today where the smartphone was officially released. A long presentation was given by Realme presenters outlining all the features of the phone. The audience seemed quite impressed with all the features the phone has to offer considering the price. In a nutshell, you will receive a large 6.2-inch display, 3GB RAM (base version), 32GB ROM(base version), 12nm octa-core processor, 4239 mAh battery, rear-mounted fingerprint scanner, dual rear cameras, etc. Is This The Cheapest Android Feature Phone In The Market? The budget Android phone phenomenon has quickly spread across the SA and SEA regions. We have seen an influx of cheaper Android phones that have a few characteristics in common i.e. a large 6.2-inch screen, thin bezels, dual rear cameras, and a big battery. The Huawei Y9, the Samsung M10, and M20 and several other phones offer almost similar features at around 30-35k PKR. 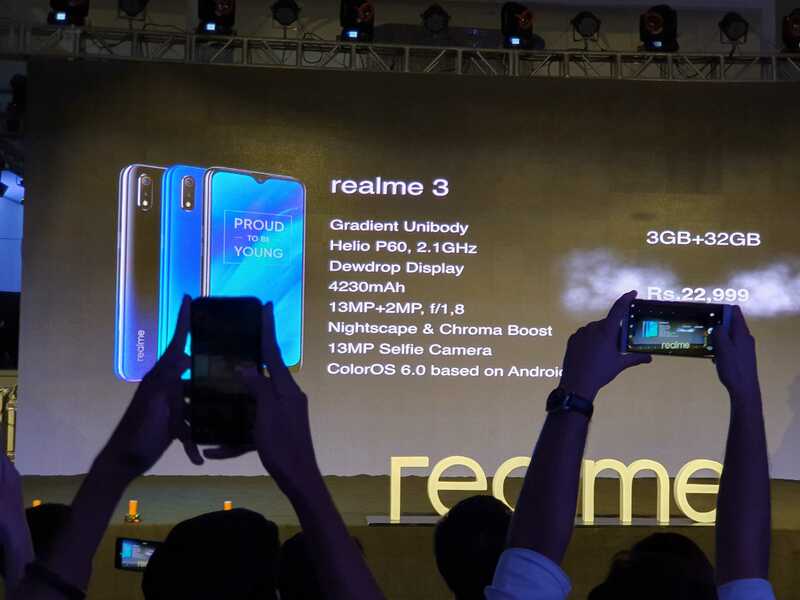 Realme 3, however, is different as it offers everything mentioned above and then some, at a fraction of a cost i.e. 23,000 PKR. You can read the complete specs and watch our unboxing video of the phone here. This is, in fact, currently the cheapest Android smartphone to offer a dual camera setup, a big battery, and several other key features at a low price of around 23k PKR. Let me know in the comments if you think Realme 3 is going to be your next Android smartphone.